Gaming, be it on a mobile phone or on a console, is a perfect way to have some fun during your free time. In the article we will be providing for your pleasure the top 10 Best offline Card games for Android. 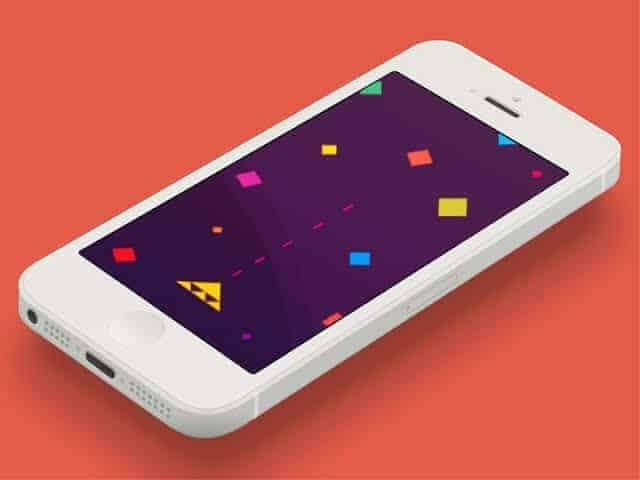 One big advantage of playing offline games is that they are always accessable in your phone without the need for mobile data. The games listed in this article have proven to provide awesome gaming experiences to their users. We compiled this list based on the opinion of experienced and addicted gamers. With this list of top 10 Best offline Card games for Android you will be sure to find a great deal of entertainment. This game incorporates everything players love in a strategy focused trading card game. This game has a massive library of cards that can keep you engaged and entertained over a long period of time. The Hearthstone mobile app is a free mobile game, this means in app purchase are enabled, but maximum fun I provided. Another wonderful game among the top 10 Best offline Card games for Android is Earthcore. This game has a simple approach to it. The developers built a concept where water cards beats fire cards, fire beats earth, and earth beats water. It’s a really interesting concept when you get into it. In this game, players can use their cards to play head-to-head battles. This game doesn’t just entertain it’s users , but it all provides a platform for connectivity and socializing. This game is made available on both the android an iOS platform. This is a game I have a personal history with. I used to rush home every day to watch this anime. When this game was released in the year 2016, it became very popular for the iOS and Android users. This wonderful game was developed by Konami and published by Konami Digital Entertainment. In this game, you will be able to compete against players around the world in a duel. Players are given a deck of 54 cards and also have a opportunity to earn more by winning face offs. There are also other powers card players are allowed to win. The main of the developers is to increase the users engagement by introducing many new and captivating features and challenges. This is an epic game that you can play I single or multiple player mode. According to the game concept you are required to fight against the Fallen One, for honor and triumph. This awesome game is designed by three Magic, and it is one of the trending games in the gaming industry. This game is built with amazing and captivating game stages. In this game, as part of your first challenge, you will be required to save your region which is surrounded by ancient behemoths that were evacuated a long time ago and are keen on returning to threaten your territory. You wil be able to create your personal collection of cards by winning Heroes and beating Monster cards in every clash. The game has been designed with diverse stories about different characters and backgrounds. With the excitement provided by this game, it is definitely a Best offline Card games for Android, material. This is an action and adventure-themed card game created by our precious Cartoon Network. The way this game plays out is that you will have to gather the cards with creatures and then utilize them to fight against your opponent in the game. You will collect a number of creatures, together with Husker Knight, Cool Dog, Pig etc. In order to reveal new cards and abilities, you will have to keep moving to the next levels. Moreover, you can fuse the cards together to make them more powerful. This is one game you must try out. Naija Whot is an exciting, classic and healthy card game for everyone. It is simple to play. Become a winner by finishing your cards before the the other players. This game, in it’s captivating nature, can keep you occupied. This game also has French language added. It can automatically detect your device default language and switch between English/French language respectively. This game enables you play against real players. You can opt to play live, or explore other tables to get an eye on the action. Or just simply stay offline. If you play your best and crack the weekly top 10 leaderboard, you’ll be eligible for fun in-app prizes. The game rewards you with Diamonds every time you play. This is a Multiplayer mobile game. The Tarot Game, is a very interesting and time worthy game to play. Tarot lets you play online with and against other players. The game is free and you can play against either other people. You can choose your table by playing with chips, a system that the application uses to monetize the game in order to create that “real effect” to your gaming experience. Pyramid Solitaire is an interesting game to play. Also belonging to the Solitaire family, the game challenges your logic and strategy skills . To win each game, you have to accurately and consistently pair cards that sum up to 13. This game delivers fun animations, seamless gameplay and casino-style setting, with an unlimited amount of card deals. The game also helps you win with undo functions and hints along the way. Triple Triad is a popular card game amongst fantasy lovers all over the world. Once you start playing, you will most probably be addicted to it. On starting the game,You will be given seven cards and if you lose the card, it will be added to the inventory of your rival and you can only win it back from the gambling mode. At the moment, this game is available in six languages, English, Spanish, German, Russian, French, and Italian. To win the best cards, you can play online in weekly events where you will have to compete against other members of the Triple Triad community. Apart from that, the game is fully offline. The games we have covered today all show promise of grabbing and retaining your attention. Try downloading one of the above apps and your free time will surely not be same anymore. We would love to know about your gaming experience with these apps. Do you know of any equally awesome game that is not listed in this article? Do well to drop your comments and contributions and don’t forget to share this post.